Home GETTING LASH EXTENSIONS	Why Does It Take So Long To Apply Eyelash Extensions? Why Does It Take So Long To Apply Eyelash Extensions? A full set of eyelash extensions takes anywhere from 90 to 180 minutes to apply. It’s a big chunk of time, right? Why does it take so long to apply eyelash extensions? Xtreme Lashes® considers a full set of eyelash extensions to be 70-100 extensions or more PER EYE. To apply each one of these 70+ extensions, your Lash Stylist will take a set of tweezers and separate your natural lashes. Then, they’ll hold one natural lash apart from all your other lashes while they use their other hand to apply one single lash extension to it. They’ll do this at least 70 times on EACH eye! Many experienced Lash Stylist can have you in and out (and looking fabulous) in under 2 hours with your full lash set! Still, 2 hours is a big chunk of time to set aside, even when you’ll be asleep for most of it. 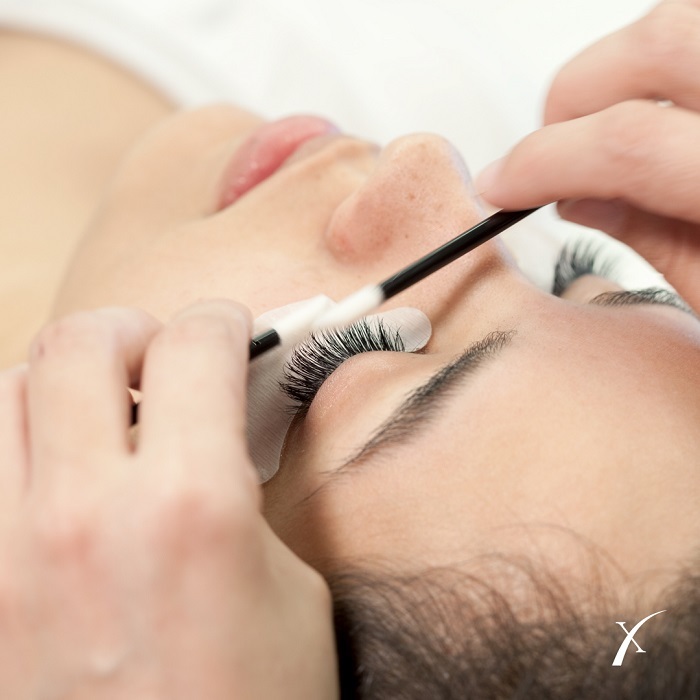 Thankfully, if you plan to maintain your eyelash extensions and you come in regularly for Relash™ appointments, you only have to commit to the 2-hour appointment once. Relash appointments are typically less than an hour and sometimes as little as 30 minutes. Keep it clean! Be sure to arrive with no makeup or lotions anywhere around the eye area. No mascara, no eyeliner, not even foundation around the eyes. The area surrounding and on the eyes must be completely clean. If your stylist has to spend time removing cosmetics be prepared to spend more time there or receive less lashes during your application. Skip the java! If caffeine makes you jittery, it can make your eyes twitch. This makes the intricate application of eyelash extensions more difficult and thus more time consuming for your Lash Stylist. Take care of business! If you need a sip of water, have to visit the “facilities” or send off a last-minute communication, get it done before your appointment time. If your Lash Stylist is booked after you, delays at the start of your appointment will probably mean you receive less lashes during your application. Escape the outside world! Turn off your cell phone before your appointment. Phone calls and text messages can ruin your relaxation vibe and add time to your visit (or lessen your lash count). Have your 2-hour block set aside? Find a local Xtreme Lashes Lash Stylist today to set up your appointment to extend your beauty with eyelash extensions. Thank you for the feedback, Sharon! Thanks for the added relaxation tips, Suzy! Very true, Gigi! I always fall asleep and when I wake up, I’m surprised the time has passed so quickly already!